Bio – After receiving her BA in English and Costume Design at Middlebury College, Kristen began her career in the lovely valley of Vail, CO as an Interior Design assistant at Greenauer Design Group. A native to New York City she soon returned home to begin working under Pat Healing and Dan Barsanti at their Greenwich design studio HB Home. Both Pat and Dan provided Kristen with a tremendous amount of creative inspiration and fueled her real passion for Interior Design. It was here that she learned the ins and outs of high-end residential design and was able to find her own creative niche as an interior designer. After 4 years at HB Home, Kristen continued to refine and diversify her talents working for the notable veteran designer Mark Cunningham of Mark Cunningham Inc. It was here that Kristen would gain a real knowledge of antiques, as well as dip her hand in the commercial and construction side of Interior Design. 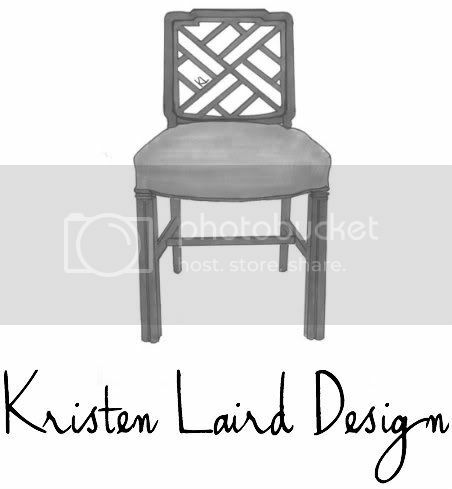 Kristen Laird Design opened it’s doors in November of 2011. KRIS Likes… is about bringing together a fusion of sensibilities. It is about finding something that sparks the imagination, something you are drawn to, something you can’t live without…..